There are times when only a comedy will suffice. You know, those days when all you want to do is sit down, relax and escape… and, well, laugh. Laughter is, of course, vitally important to our health and wellbeing. It decreases stress hormones and boosts our immunity. However, finding a film that actually makes us laugh can be somewhat challenging. All too often movies that aim for comedy fall woefully short. 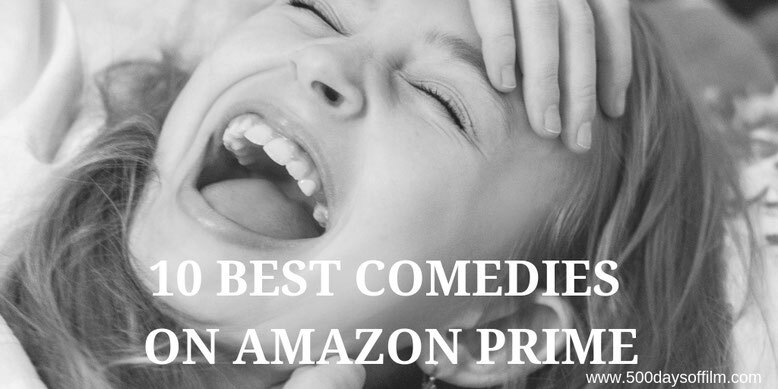 As a result, in this article I am going to list ten laugh out loud comedies available on Amazon Prime. The Big Sick is an utterly charming and brilliantly funny film based on the real-life courtship between Kumail Nanjiani and Emily V. Gordon (played here by Zoe Kazan). Directed by Michael Showalter, the movie was written by Nanjiani and Gordon with the assistance of producer Judd Apatow. The result is one of the most satisfying and heartfelt romantic comedies that I have seen in years. Dark comedy and brutal violence combine in Martin McDonagh’s delicious and hilarious crime drama, In Bruges. For hit men Ray (Colin Farrell) and Ken (Brendan Gleeson), the city of Bruges could be their final destination, after being ordered to hide out there by London boss, Harry (Ralph Fiennes). The Kings Of Summer is a wonderfully poignant and funny coming of age tale starring Love Simon’s Nick Robinson and the brilliant Nick Offerman. Jordan Vogt-Roberts’s film is a real charmer. I have such a warm place in my heart for Bridesmaids - a feeling that actually has very little to do with the (occasionally gross-out) gags. I love Paul Feig’s film because I love all of its characters. Kristen Wiig plays her part to perfection. She is both utterly ridiculous and completely endearing in her desperate attempt to hold onto her best friend. Meanwhile, Rose Byrne is brilliant as manipulative Helen - part devious ice queen, part sad and lonely housewife. However, for me, Melissa McCarthy steals the show. Playing the sister of the groom, she displays pure physical comedy genius. I recently re-watched and, therefore, rediscovered the joy of Edgar Wright’s Cornetto Trilogy (Shaun Of The Dead, Hot Fuzz and The World’s End). While I can never pick a favourite, Shaun Of Dead is (as I write to you) the only film available on Amazon Prime Video. With its genius level one liners and iconic set pieces, Shaun Of The Dead never fails to make me laugh. A message can be more powerful when conveyed via comedy than by a more serious method. Satire disarms us - we laugh and then we think. This is exactly the tone found in The Death of Stalin. Armando Iannucci’s film is brilliantly and consistently funny. Prepare to laugh out loud from the first scene to the last. However, beneath all the hilarity lies something dark and deeply unsettling. Something true. Oh how I love Sightseers. I really had no idea what to expect when I first watched Ben Wheatley’s film (particularly after Kill List). This story (about a couple’s caravan holiday) is a darker than dark comedy gem. However, a warning - Sightseers is also gruesomely violent and not for the fainthearted. A change of pace here for George Cukor’s 1941 Oscar winning classic, The Philadelphia Story. Starring Cary Grant, Katharine Hepburn and James Stewart, The Philadelphia Story is endlessly smart and hilariously funny. Punch Drunk Love is an eccentric, unsettling and tension-filled film that intertwines shocking scenes of violence with moments of dark humour. Barry Egan feels like the role Adam Sandler was born to play. His portrayal of a man on the brink of a breakdown is superb. However, it is Lea that I really love. Emily Watson gives a superb and brilliantly understated performance. On paper, Swiss Army Man sounds offensive - a bad joke that no one wants to hear. A farting corpse with an outrageous inbuilt GPS? Surely this bizarre buddy movie was a suicidal career move for all involved. However, while from the outset Swiss Army Man features lowest common denominator comedy (that amuses, startles and surprises), the film rises from there to become a moving and inspiring story of loneliness and loss, friendship and the redeeming power of love. What do you think of this list of comedy films? Does it contain any of your favourites? What would you add? Let me know in the comments section below or via Twitter. You can find me @500DaysOfFilm.